The Schuylkill River Trail is the headliner of bike riding in the Philadelphia Region. Currently there are over 60 miles of trail completed including a 26 mile section from Philadelphia to Phoenixville, with a projected total length of close to 130 miles. The trail is currently 60 miles, but will be almost 130 miles total when it is completed. 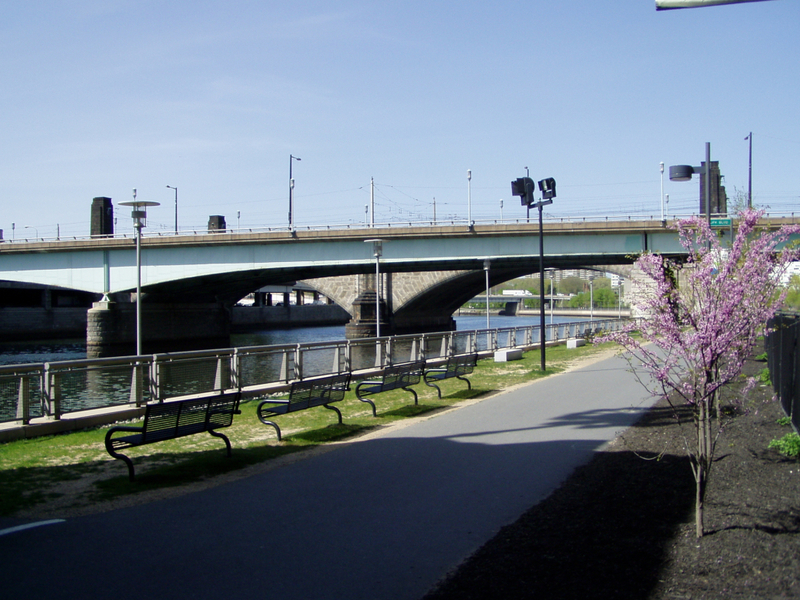 The Schuylkill River Trail allows for quick cycling access into and out of the city. It is the perfect destination for a fun family ride or an intense workout. That being said keep in mind all rail trails do have speed limits and riders looking to use the trail for a workout should use caution. In comparison to other major bike paths in the area, many riders prefer this trail because it is mostly paved. There really are so many reasons why the Schuylkill River Trail is great. It truly is the cornerstone of bike riding for many people in this area. Lots of riders heavily rely on the trail as a safe place to ride. The trail has many convenient trail heads with several split offs to allow you to explore different places. The trail also has tons of corporate locations throughout, so the trail acts as a great commuting highway. Besides the trail itself there are many great sights along the path. On the Philadelphia side of the trail there are great spots to view the Philadelphia Art Museum as well as the historic Boat House Row. If you are looking for the true touristy thing to do on this ride stop at the Art Museum and partake in a Philadelphia tradition, run of the stairs like Rocky. On the other end of the trail as you leave the city is Valley Forge. There is a beautiful 5 mile loop that floats around the park with amazing historic sites, offering the perfect spot for a mid-ride picnic. There are numerous other destinations to include in your tour of the Philadelphia area. The Schuylkill River Trail is used for many different types of activities, running, walking, XC skiing, but the most popular activity is bike riding. All different types of bike riders find themselves using this bike path. From racers to commuters, and from adults to children the Schuylkill River Trail is an excellent tool to include in your bike riding adventures. Many locals in a sense trace their cycling roots to this trail, it was the place where they discovered their cycling passion. It’s also one of the most popular destinations for people visiting the city because of its broad offering and great access to unique destinations. With how long the Schuylkill River Trail is there is not one great spot to recommend for parking. If you’re located in the city most likely you can ride right from your front step or connect onto the canal path. Outside of the city one of the most popular parking lots is the Betzwood lot off of 422. This lot allows for perfect access to Valley Forge as well as the Schuylkill Trail in both directions. Also a short distance away from this lots is the Perkiomen Trail which connects in Oaks.